Please support TVNI operations with a donation (see top of page(your tax deductible donation will generate an emailed receipt). Vetiver System plant suppliers play a key role in the promotion of the Vetiver System. Note: this list is far from complete. We are happy to publish particulars about vetiver grass nuseries, suppliers, and VS installers. 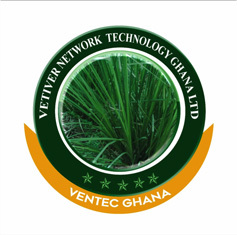 In addition TVNI certifies Vetiver System providers as to their competence and technical excellence. We encourage certification. Once certified they are listed on this website. New clients can be reasonably assured of a good service from those certified. Suppliers and stand alone consultants with design and execute capabilities TVNI approved consultants are marked in red. Rua Major Lopes, 852, B.
Jiangsu Vetiver Environmental Technology Co., Ltd.
Science and Technology Co. Ltd.
Guangzhou Rivers Enterprise Co. Ltd.
Zheijiang Vetiver Engineering Co. Ltd.
Lic. José Guillermo Herrera C.
that can plant and installs. Vetiver Coordinator for WINNER project; has helped establish smaller independent rural nurseries around the Northern part of Haiti. He is super busy, but also very helpful, and can get trained people in VS to provide coaching or technical support. P.S.- Katuwali, District- Jalipaiguri, 735139,West Bengal. KETUGRAM II, EAST BARDHAMAN DISTRIC, Uttorpara, Village: Begunkola, P.O.- Nabagram, P.S.- Ketugram, District- Purba Bardhaman, West Bengal. KULPI, SOUTH 24 PARAGANAS DISTRICTAddress - Village: Rajarampore, Block- Kulpi, District- 24 Parganas (south), West Bengal. P.S.- Baharampur, Block- Baharampore, 742405, District- Murshidabad, West Bengal. to become top-of-the-notch in bio-engineering technology). Petaling Jaya 47300, Salangor, Malaysia. Estudios Rurales y Asesoría A.C.
Alexis W. Bonilla de O. Tel. : 0051 – 1 – 449 16 19 Lima. Adress: Hurma Mh. 277 Sk. Lauce Santo, Hawaii Agriculture Research Center, PO Box 100, Kmria, H l96759-0100. cellular 808-228-0162, office 808-677-5541, Lsanto@harchspa.com. Wayne Ogasawara, Mauii Agricultural Park, 808-256-9317. American Samoa Community College Mary Lauagaia Taufete'e, Land Grant Forestry Depmtment. P.O. Box 5319, Mapsusaga, American Samoa 96799. 684-699-1575 ext. 236 or 237. Ing. Agr. Carlos Gomis S.